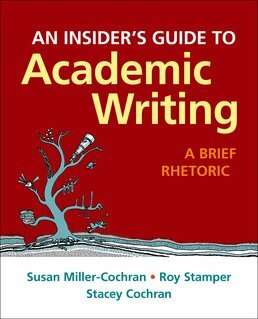 Through video interviews with scholars and peers alike, the Insider's Guide to Academic Writing teaches you to adapt your writing to any academic assignment. Regardless of discipline, you'll gain confidence in any academic writing task, no matter your area of study. How do Colleges and Universities Differ from One Another? How Many Different Academic Disciplines Are There? How Does Writing in College Compare with Writing in Other Contexts? What Do You Already Know about Writing in Different Contexts? M. S. Brotherton, Wil van Breughel, S. A. Stanford, R. J. Smith, B. J. Boyle, Lance Miller, T.
Susan Miller-Cochran, now Director of the Writing Program at the University of Arizona, helped shape the First-Year Writing Program at North Carolina State University while she served as Director from 2007-2015. 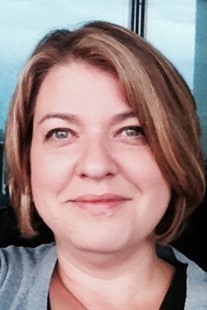 Her research focuses on instructional technology, ESL writing, and writing program administration. Her work has appeared in College Composition and Communication, Composition Studies, Computers and Composition, and Teaching English in the Two-Year College, and she is also an editor of Rhetorically Rethinking Usability (Hampton Press, 2009) and Strategies for Teaching First-Year Composition (NCTE, 2002). Before joining the faculty at NC State, she was a faculty member at Mesa Community College (AZ). She has served on the Executive Committee of the Conference on College Composition and Communication and the Executive Board of the Carolinas Writing Program Administrators. She currently serves as Vice President of the Council of Writing Program Administrators. 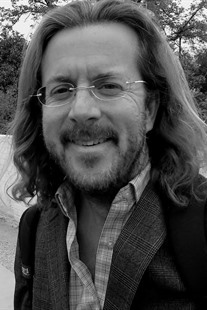 Roy Stamper is Senior Lecturer in English and former Associate Director of the First-Year Writing Program in the Department of English at North Carolina State University, where he teaches courses in composition and rhetoric. He is also academic advisor to the department’s Language, Writing, and Rhetoric majors. He has been recognized as an Outstanding Lecturer in the College of Humanities and Social Sciences and is a recipient of NC State's New Advisor Award. Prior to his current appointment, he worked as a high school English teacher. 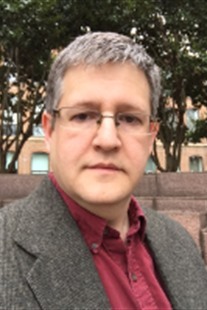 He has presented papers at a number of local, regional, and national conferences, including the Conference of the Council of Writing Program Administrators and the Conference on College Composition and Communication. Stacey Cochran is an assistant professor of English at the University of Arizona and currently serves as Coordinator of Student Success and Wellness for the College of Social and Behavioral Sciences. Additionally he is pursuing a doctorate in the College of Education's Department of Educational Policy Studies and Practice with a focus toward innovative teaching, learning, and research that prioritizes students' emotional well-being and promoting access for women and minorities in educational administration. Before that, he taught for nine years in the First-Year Writing Program at North Carolina State University. He has also taught academic and creative writing at East Carolina University and Mesa Community College (AZ). He earned his M.A. in English from East Carolina University in 2001 with a concentration in Creative Writing. He was finalist for the 1998 Dell Magazines Award, a 2004 finalist for the St. Martin's Press/PWA Best First Private Eye Novel Contest, and finalist for the 2011 James Hurst Prize for fiction. He is an experienced videographer and interviewer who was the host of The Artist's Craft, a television show in Raleigh which featured interviews with many bestselling authors and literary scholars.